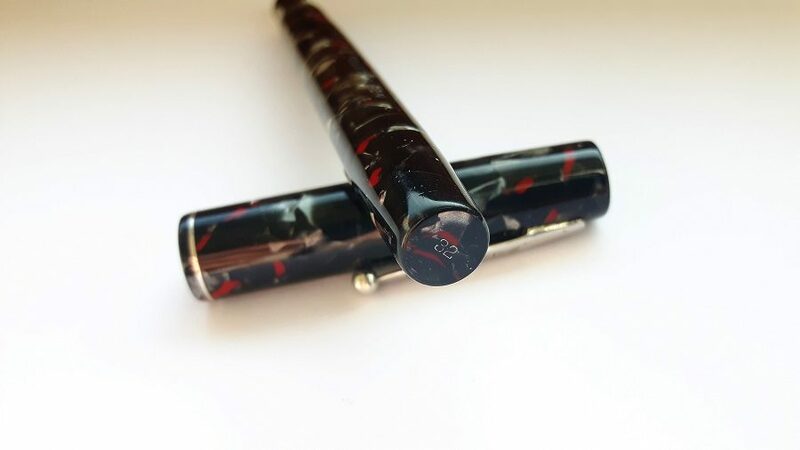 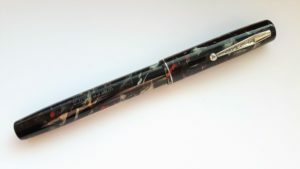 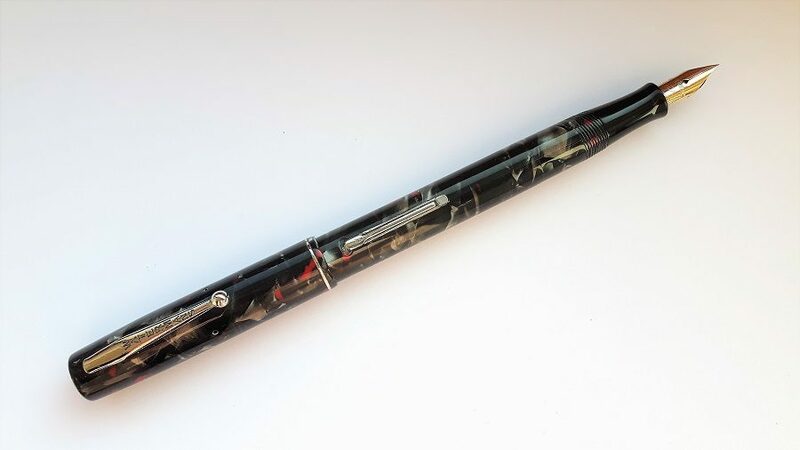 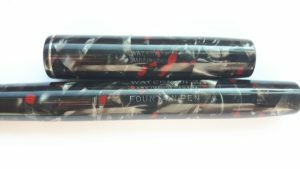 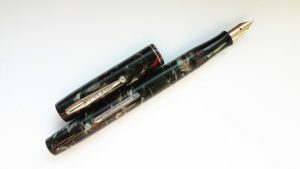 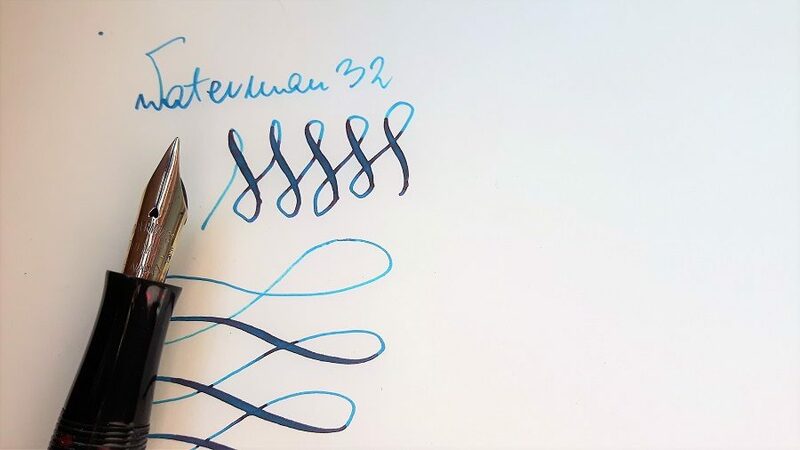 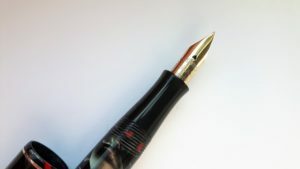 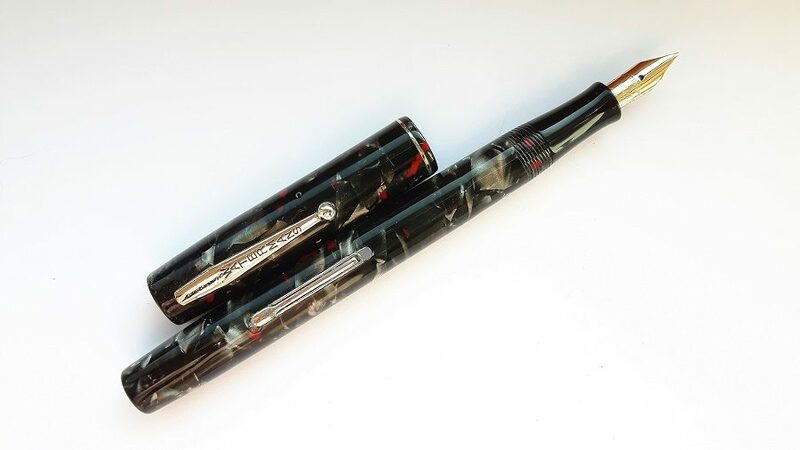 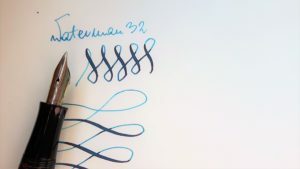 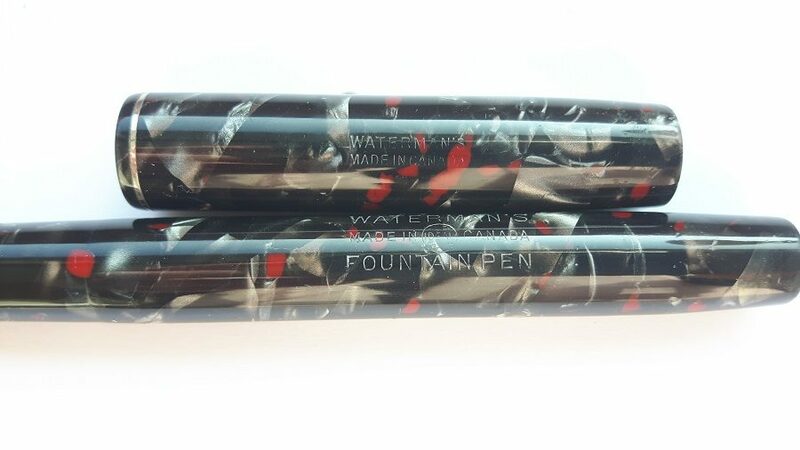 Waterman 32, Canadian production (it says made in Canada on the cap and the body, the nib is also marked Canada). 12.7 cm closed, 16.8 cm posted. 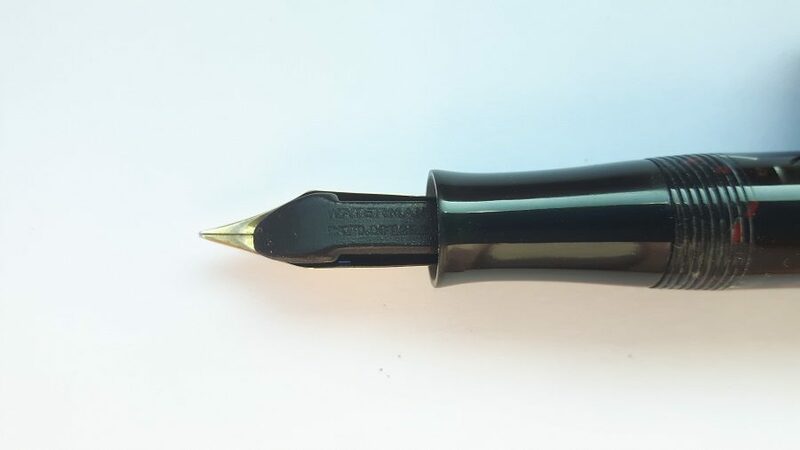 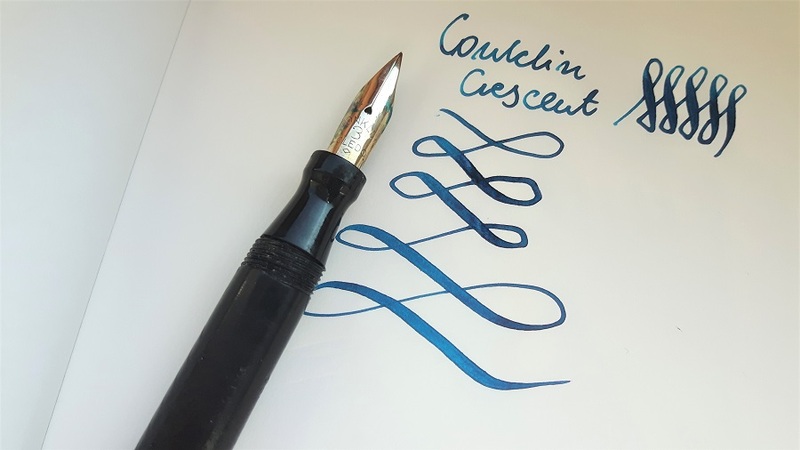 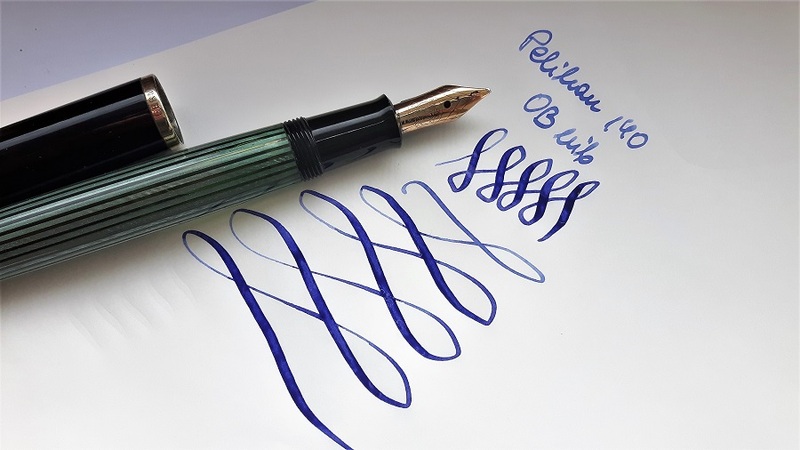 Very nice celuloid, clear imprints, the nib shows some flex.